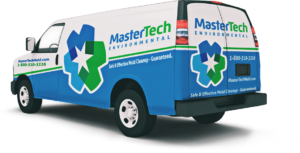 Every technician on the Mastertech Team is committed to the health and safety of our clients. Our technicians are carefully trained in the most effective cleanup methods and the use of the most advance equipment to ensure the safest and most effective service possible. We are fully licensed, bonded, and insured. Leonard Wendowski and his dedicated team of technicians responds to environmental concerns promptly and efficiently. Mastertech of Philadelphia and Eastern PA aims to exceed industry standards and provide skilled expertise when your family needs it most. Above all, Mastertech believes in providing clients with compassionate, respectful service. Offering comfort and support to grieving family members, our team can assist with stressful tasks like filing insurance claims and formulating restoration plans. Mastertech is committed to making a difference in you and your family’s quality of life. Our mission is to provide Affordable, Safe and Effective Mold Removal Solutions to residents and business owners in Philadelphia and its surrounding counties. It’s that simple.